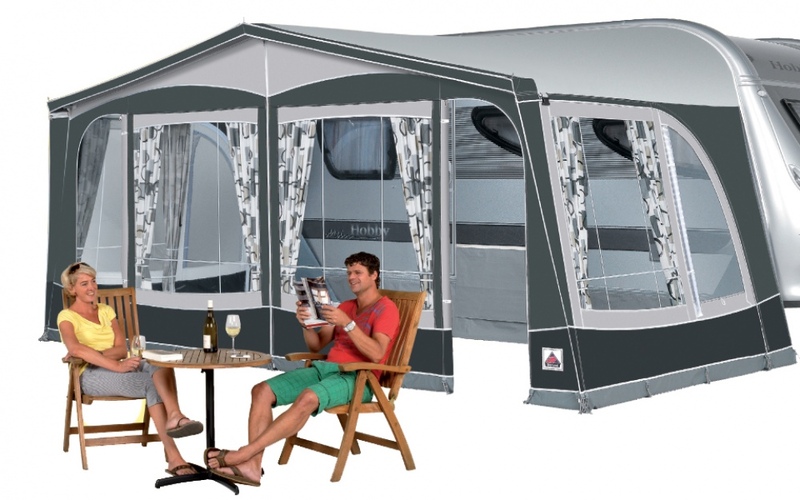 The Multi Nova is the vey latest range and design from Dorema which is a combination of a Sun Canopy and Awning. This new range will comprise of two multifunctional models using the very latest high quality TenCate materials. All panels are removable on both models and can be used freely to suit all weather conditions and individual requirements. 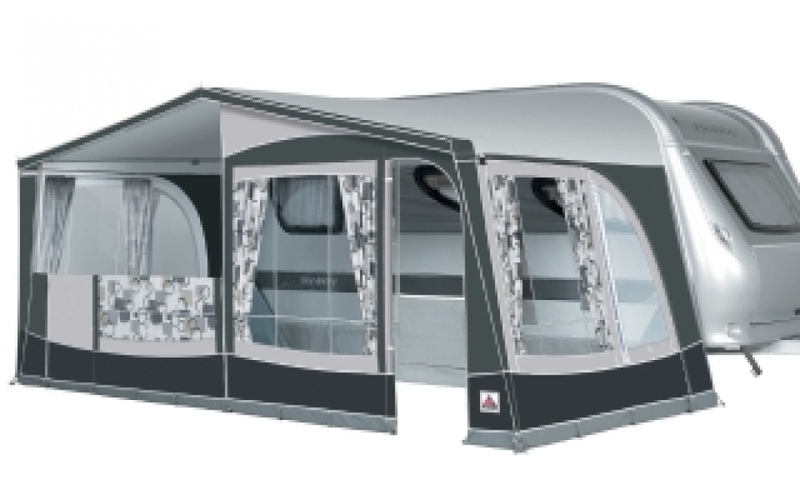 As standard the Multi Nova will be fitted with removable front and side panels and has a fitted door and fly screen. 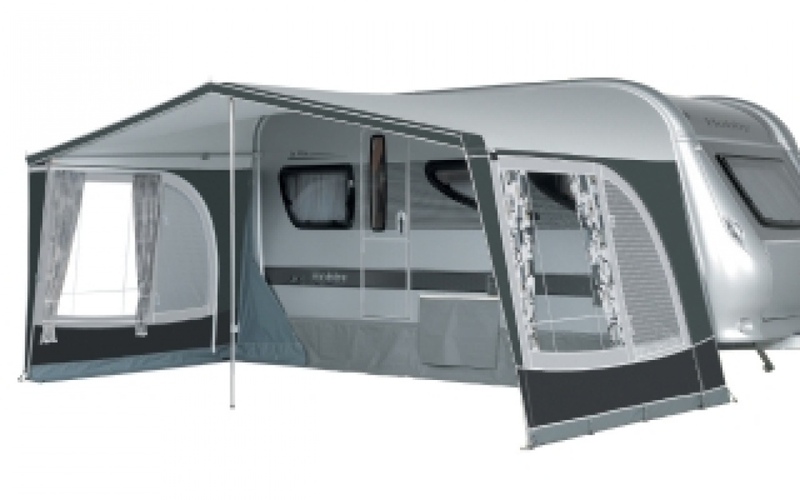 The Multi Nova Excellent has the added features of fly screens fitted to both side panels and also has a fitted door built into each front panel to suit all caravans. These stunning new Sun Canopies/Awnings are also supplied as standard with the unique, Aluminium EasyGrip quick system frame and is also available with optional cost upgrade to the outstanding Fibre Tech Plus EasyGrip frame. You can choose between two colour combinations: blue/grey and charcoal/grey.